Historical Records of Tisbury, Mass. This is a growing collection of historical records related to Martha's Vineyard. 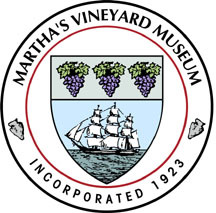 As of January 2012, the Martha's Vineyard Museum has taken over maintaining and adding to this site. We appreciate your patience as we take the time to review, update, and add to the wealth of information here. Also visit Dukes County History! Site Map < A comprehensive index to this site! Post your Portuguese-related Queries here!